Would you like to groom your car leather surfaces and not need to deal with those white residues left by traditional moisturizers? 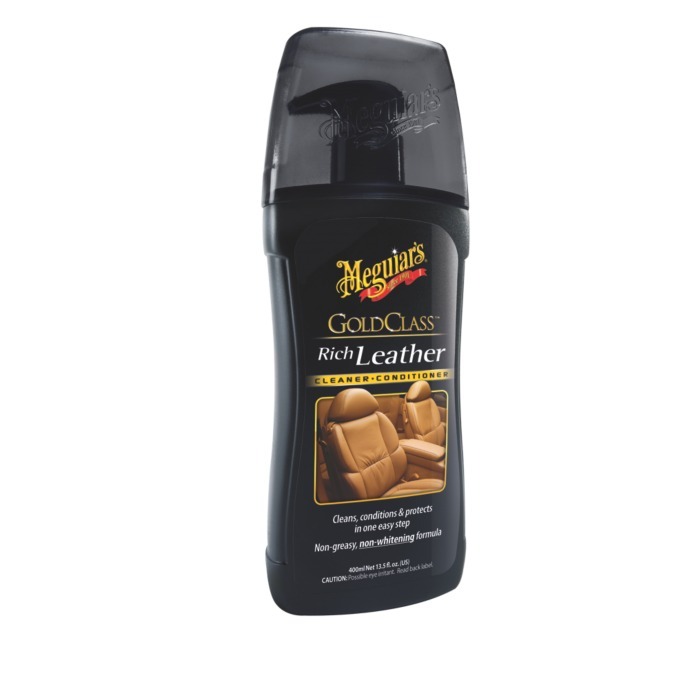 The premium formula of Gold Class Leather Moisturizer provides a simple, effective one-step solution cleaning, conditioning and protecting leather leaving no white residue or artificial gloss. Perfect for use on any leather surface, even those which are punched, cracked or sewed.